The Microfinance Centre and Center for Financial Inclusion at Accion are working together to build a financial health tool to assist customers with gauging and improving their financial health, and to assist financial institutions to help them do so as well. During the first phase of the project MFC developed simple financial health quiz, helping people find out how financially healthy their household is and understand the main rules of budget management. 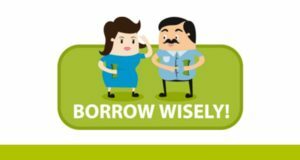 This quiz was tested among the clients and staff of organizations partnering with the Borrow Wisely Campaign in Eastern Europe and Central Asia. Our lessons learned from this testing phase are informing our next steps as we continue to design and build the application. We have seen that motivation begins with the catalytic “aha moment” the quiz generates, but more is needed to generate actual behavior. The app will need to create paths leading from the “aha moment” to action, and it will need to reinforce the journey along the paths.